Usher thinks Justin Bieber is just being a normal teenager. The “Scream” hitmaker - who mentored the 19-year-old singer to success alongside his manager Scooter Braun in 2007 - believes the criticism directed at his young protege is unfair as the teenager is living his life the best amidst a barrage of media attention, and is maturing every day. “I think all of us, in some way, have humble beginnings that pan out to be incredible and we hope that in his transition, as friends and family who have helped him be who he is, that he'll continue to just mature. I am hoping for the best. I don't look at as a negative though, I look at it as a teenager - he's a teenager having to live his life in front of a camera. Imagine if you had to do that as a teenager,” Usher said, speaking on The Ellen DeGeneres Show. While the R&B singer - who duetted with Justin on the remix of hit song “Somebody To Love” - doesn't necessarily agree with Justin's recent antics, including keeping his fans waiting for hours before his gigs, getting into a scrap with the paparazzi and constant partying, he is hopeful he won't succumb to the pressure in the same way as other former child stars. 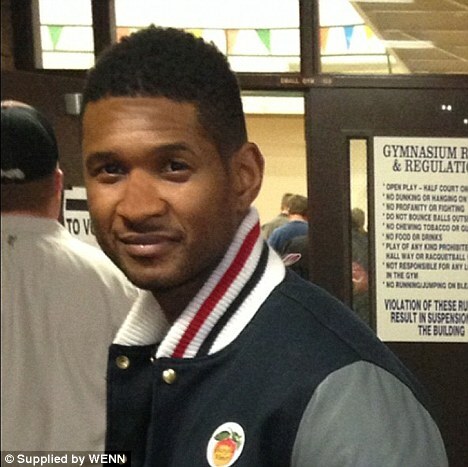 Voters in Atlanta were furious when Usher was allowed to skip to the front of the line on election day. The “OMG” hitmaker was given special treatment by polling officials, where he was allowed to bypass the long queue to vote during the recent US presidential election, and his fellow voters are unhappy with the move, according to local TV station WSBTV. However, election officials insist Usher was allowed to move to the front of the line to prevent chaos among those present. Usher's ex-wife is being sued for $50,000. Tameka Foster - who recently lost custody of the couple's two sons Usher Raymond V and Naviyd to the “Climax” singer - is reportedly being evicted from three retail spaces she rents in Georgia after failing to pay her landlord. Antelope Valley Plaza (AVP) says Tameka owes almost $37,000 in rent and they are also suing her for late charges and unpaid taxes, according to TMZ. However, Tameka, who runs a play area for children from the building, has accused AVP of breaching the contract and has asked for the case to be dropped. Meanwhile, it was recently revealed Usher is planning to sell the Georgia mansion Tameka currently lives in and has ordered her to move out. She has been living in the house alone since they split but their divorce agreement stated that Usher could sell the property at any time as long as he gave her 60 days notice. The 41-year-old stylist - who was married to the “Yeah” singer for two years until 2009 - claims she is fully able to support herself and claims those who call her a money grabber should think more before they speak as they are suggesting Usher is not loveable without his cash. Usher's ex wife insists he cheated on her. While the “Burn” singer has denied claims he was unfaithful to Tameka Foster during their marriage, she alleges he confessed one incident of infidelity to her after she accused him of seeing two different women. “He admitted to sleeping with one of the two. It was a very disappointing revelation. I had suspected it for some time. I hate to say it, but I somewhat empathize with her. 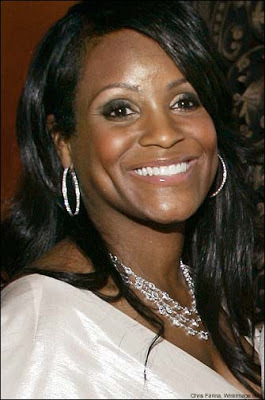 ... She fell into somewhat of a trap,” Tameka told Entertainment Tonight. Usher's 11-year-old stepson has died, two weeks after he was critically injured in a jet ski accident. Kyle Glover - the child of Usher's ex-wife Tameka Raymond and her former partner Ryan Glover - passed away yesterday after the family made the heartbreaking decision to turn off his life support machine. Kyle was struck in the head during a jet ski collision while riding an inner tube on Lake Lanier in Atlanta, Georgia, earlier this month and his mother is understandably “devastated” over her loss. 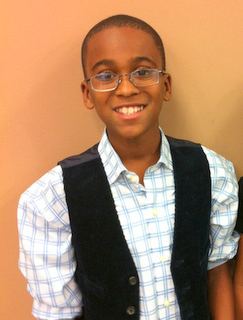 Willie A. Watkins funeral home in Atlanta has confirmed it will be handling the funeral arrangements for the little boy. Last week, Kyle's family asked for prayers as they kept a bedside vigil following the tragic accident. “We know God's in control, and are leaning on our faith in Him and His word at this most difficult time. We firmly believe in the power of prayer and ask that you all continue to pray and lift Kile up, as it's the best way we can all support him now,” they said in a statement. 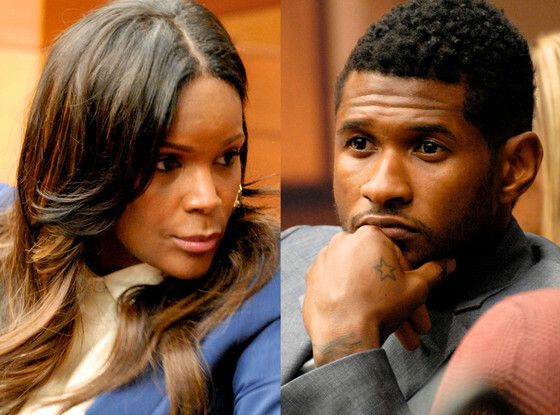 Usher wants to settle his messy custody battle with ex-wife Tameka Raymond. The 33-year-old singer is keen to sort out a deal after his 11-year-old stepson Kyle Glover - the child of Tameka and her former partner Ryan Glover - was hit by a jet ski earlier this month and pronounced brain dead on Monday. Sources close the couple have told TMZ that Usher spoke to his lawyers earlier this week and asked them to construct a new proposal that will give Tameka “a majority” custody of their two sons, Usher Raymond V, four, and three-year-old Naviyd Ely Raymond. Usher is also said to be raising his child support offer “significantly” after Tameka reportedly refused an offer from him over the weekend that stipulated a 50/50 share of custody and a very slight increase in child support. Usher's 11-year-old stepson has been declared brain dead by doctors. 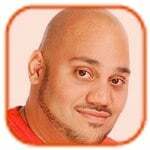 Kyle Glover - the child of the singer's ex-wife Tameka and her former partner Ryan Glover - was unresponsive when he was rescued from Lake Lanier in Atlanta, Georgia, on Saturday after being struck on the head by a passing jet ski while riding on an inner tube and taken to the Children's Healthcare unit at Egleston Hospital in Atlanta, but has “not experienced any brain activity” since being admitted, a source told gossip website TMZ.com. A decision has yet to be made on whether to take the youngster off life support. Tameka took to her Facebook page to thank fans and family for their support and urged them to pray for her little boy. “Kyle, You are strong ... You'll be saved I know it. I love you my baby. I need all #Prayers for my son! thanks you everybody! (sic)” the mother of five wrote. Tameka - who has been undergoing a bitter custody battle with Usher over their sons Usher VI, four, and Naviyd Ely, three - was “extremely thankful” to her former spouse after he reportedly chartered a plane for her to fly back to Atlanta to be by Kyle's side. Usher is being stalked by a woman who is convinced she is married to him. The 33-year-old singer has obtained a restraining order against 26 year old Darshelle Jones-Rakestraw after she turned up uninvited at his home on June 23 to “harass” him and his family. According to TMZ.com, she pounded on the door and asked to be let in. When police were called they warned her not to come back, but she returned the next day and tried to convince law enforcement she was Usher's wife and claimed she had just mislaid her keys. However, police did not believe the story - because Usher is not married - and placed her under arrest. The star immediately obtained a restraining order, claiming she “placed him in reasonable fear for his own safety and/or the safety of his immediate family.” He is planning to request the temporary order is made permanent in a forthcoming hearing.